JULIE REHMEYER is an award-winning mathematics and science writer. She is a contributing editor to Discover Magazine, and has been published in the New York Times, Washington Post, Wired, Slate, Science News, and more. Her stories have been featured on The History Channel and NPR’s All Things Considered. She is the 2016 recipient of Ted Scripps Environmental Journalism Fellow at The University of Colorado, Boulder, and the Excellence in Statistical Reporting Award. She lives in Santa Fe, NM. 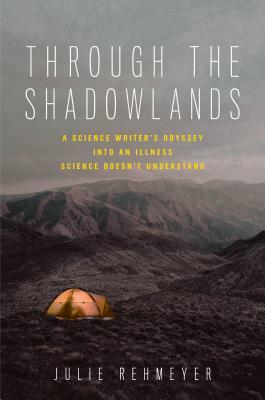 "Science journalist Rehmeyer’s deeply personal illness memoir stands out for the lucidity of her self-analysis and pragmatism about managing a life turned upside down by chronic fatigue syndrome (CFS). She emerges as simultaneously a science journalist frustrated with established medicine’s dismissiveness, a patient open to the pseudoscientific approaches of non-traditional practitioners, and a desperate woman reaching out to suffering peers on the Internet for support and advice. This last avenue ultimately leads her to an extreme removal of mold from her environment, starting with a body-resetting solo expedition to Death Valley. Exploring ideas of dependence and self-sufficiency, Rehmeyer shows her illness through the lens of her personal relationships—with her strange and abusive mother, mentally ill first husband, mostly distant siblings, and two successive partners, the second of whom is supportive where the first one is not. In this way, she explores her illness’s psychological aspects while never giving up the idea that CFS has a real and profound physiological component. Rehmeyer’s frustrated but cautiously optimistic story will resonate with readers who value an intelligent, scientific approach to life but wonder what to do when there aren’t any good answers."